Whether preparing snacks for your Whovian viewing party or serving the Thanksgiving Turkey, add a little flair to your presentation. This high-end ceramic tabletop platter will delight even the hard-to-impress fans. 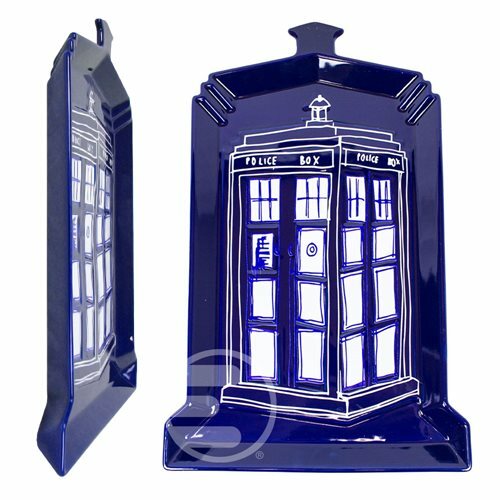 This Doctor Who TARDIS Embossed Serving Platter is made of ceramic and measures approximately 16-inches long x 10-inches wide and comes packages in a gift box. Microwave and Dishwasher safe.